A preview for my forthcoming chapbook The Leaving, published by Akashic Press as part of Kwame Dawes and Chris Abani’s New Generation African Poetry Series is now viewable on the African Poetry Book Fund site. It is an honor to be selected for this series along with seven other wonderful poets. It is particularly special because Kwame Dawes and Chris Abani are two writers whose work I have long admired. The artwork is by the talented Victor Ehikhamenor. 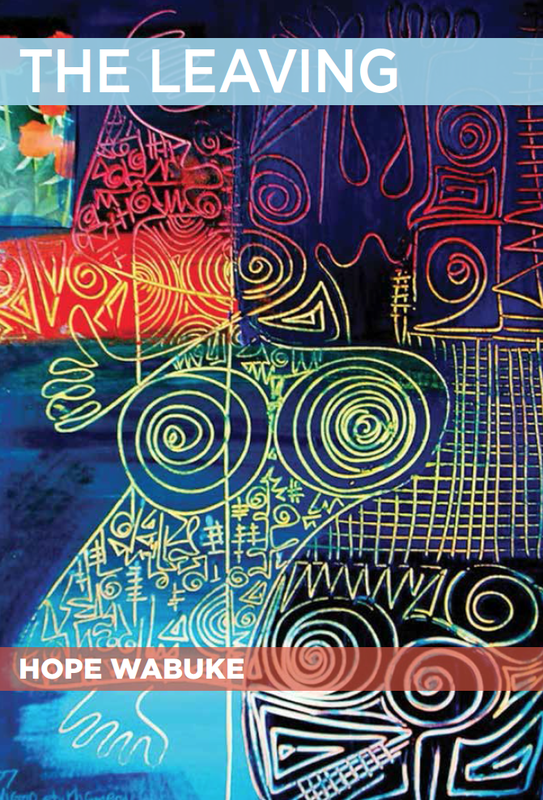 Hope Wabuke’s The Leaving is a powerful examination of the African experience through the eyes of a new generation of African women poets living in the Diaspora. With her carefully arranged lyrical verse in vivid images, she tells the story of her life as a child, born in exile, and forced to live an exiled existence against the backdrop of biblical images of another exiled people. As if these were the stories again of the exodus of God’s people from slavery in search of the promised land, her strong, sometimes narrative voice is both haunting and engaging.